The Synod on youth, which came to a close in Rome at the weekend, has called on the whole Church to accompany young people, including those who are most vulnerable in life. The Synod Bishops concluded with a message to young people declaring that the Church “does not abandon you” and “is ready to accompany you on new roads”. Million Minutes is inviting people to sign up now to use their ‘siLENT’ initiative as an opportunity to respond to this call. During Lent 2019 people are asked to take time to ‘stay silent for a change’ in solidarity with young people who are excluded, for whom silence in society isn’t a choice. Each minute is sponsored to raise money to support projects that accompany young people to change their lives and their local communities through projects that are based on Catholic social teaching. “I’ll be joining siLENT. It’s a great opportunity to be in solidarity with young people and to raise support for them”. 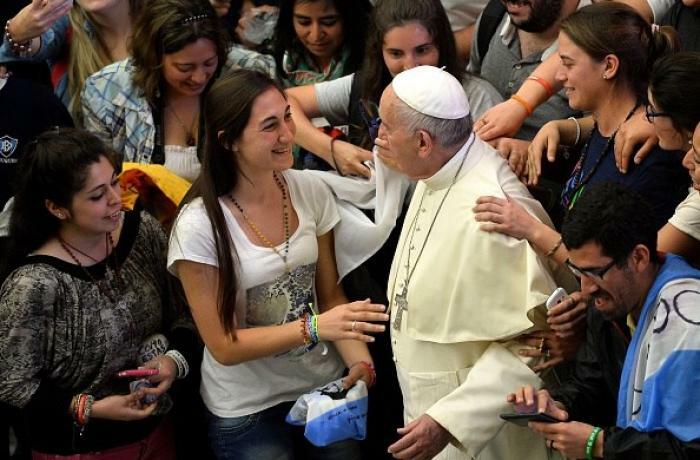 “As a youth minister, every day I meet the young people that the Synod calls us to accompany. I see their absolute joy and I see the struggles they continuously face. They have so much to share with us and we can learn so much from them, but they need the space to be heard. I look forward to joining siLENT in solidarity with them. I will be speaking up with my silence and helping to raise money to give young people a platform and a voice”. The money raised from siLENT will help people like Andre. At 16 Andre was isolated from lessons at school due to his behavioural difficulties. Lonely and frustrated Andre was given a second chance when volunteers from the local parish (funded by Million Minutes) encouraged Andre and accompanied him to help out at his local primary school. During the year his confidence grew so much that he built relationships with young people in his local neighbourhood. Knowing what being isolated felt like, he saw opportunities to include others, like supporting a child using a wheelchair to take part in a basketball game with his peers. “I feel empowered,” he said. Andre overcame his own difficulties to use his voice to make a change for other young people. Stay siLENT for a change. SIGN UP TODAY at: millionminutes.org/silent/.